This will hang in my quilting studio for sure! 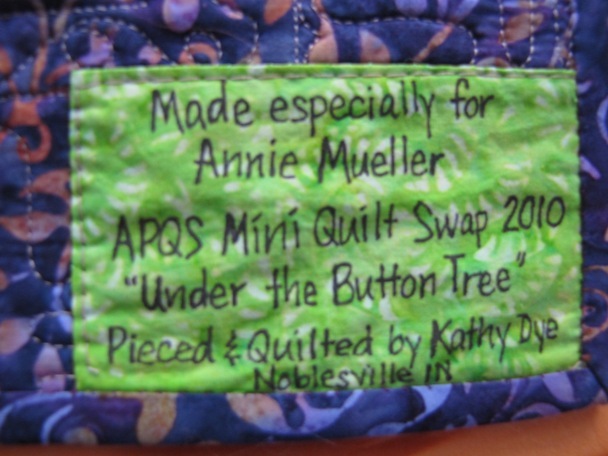 Kathy's business name is cute, kd dids quilting. But I think it should be To Dye For!! here's a close up of the sun and a corner. Isn't the border fabulous? 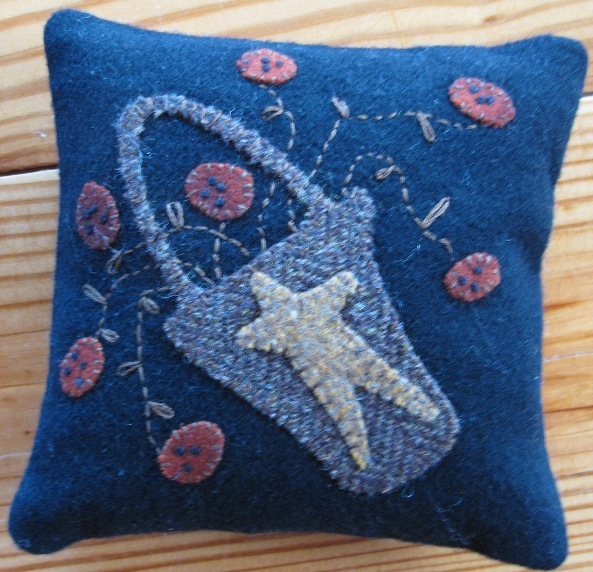 and not to be forgotten, I got an adorable pin cushion made of wool, I think. Plus a paper to do pad that says "Any day spent quilting is a good day." Perfect! Oh Annie, How cute!!!! and so creative!!!!! Love the pin cushion too! I love it. Isn't it amazing how special receiving a small gift can make you feel. love it. very nice annie! kathy did a great job! Oh that is so cute! 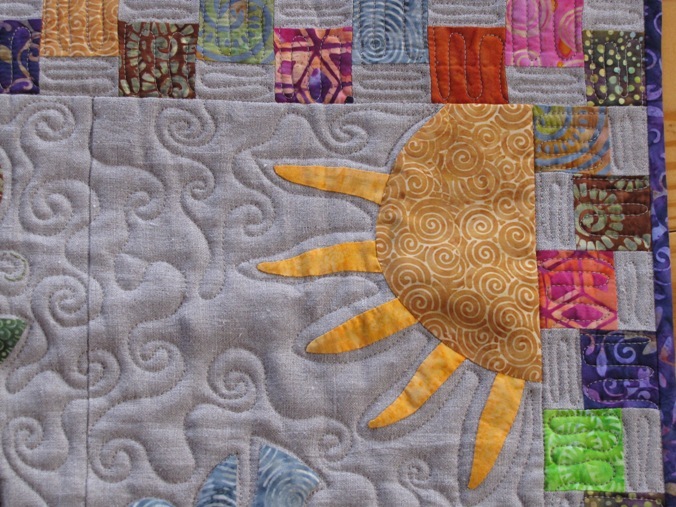 What a very creative and fun little quilt. Gorgeous....happy and cheerful. 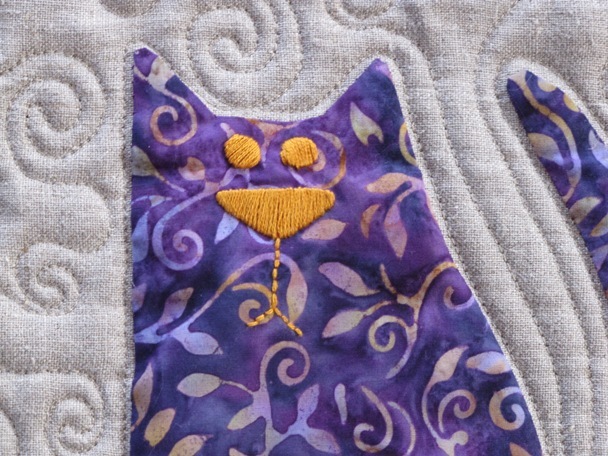 Love the purple Cat. Annie that is so darling.... I'm a cat lover too! Kathy how creative I love it. Wonderful - How cute!!! I really do need to get my blocks together from when we first started the Birthday Block exchange.... seems like Forever ago! Wonderful! I love the cat and the border! 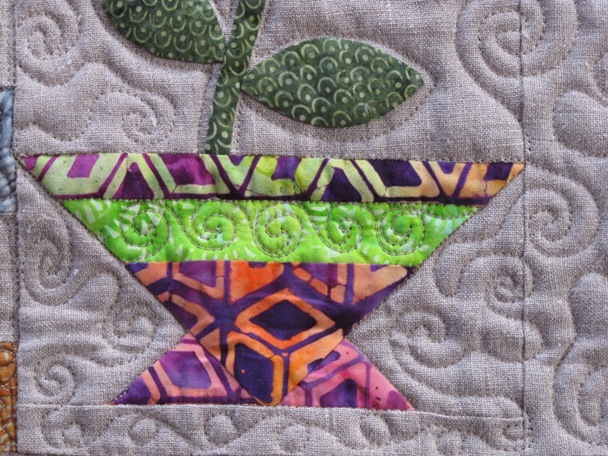 Great teeny-tiny quilting as well! Oh so cute. Oooh let's do this swap again!!!! I would like to do the swap again too. I love these little mini quilt. That is just too cute. 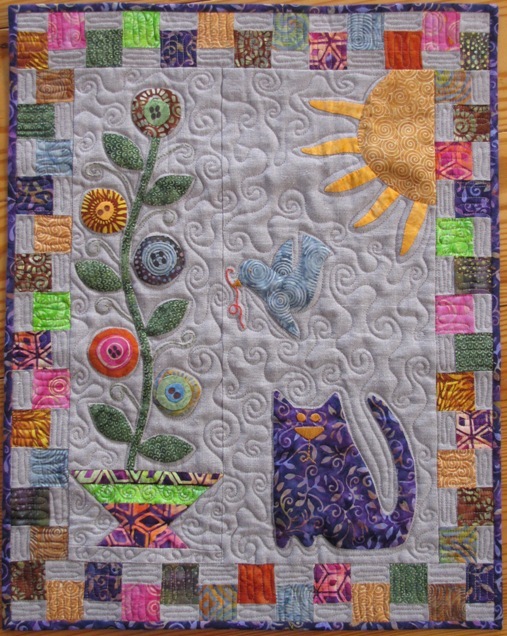 I love the colors, love the design, and love the quilting. Love it all!! Great job! Lucky you, Annie! !